Favre’s head coach at the time, Mike Holmgren, as well as quarterbacks coach Steve Mariucci deserve a lot of credit. Favre was talented, but he was a stallion that needed to be broken. It took some doing, but the common theme between them was winning. Even Mike McCarthy, who coached Favre near the end of his stay in Green Bay, said he greatly admired the quarterback’s passion for winning, something we were all fortunate to experience. Holmgren’s patience was stretched to the limit at times, but his ability to reign in Favre just enough turned out to be the difference. Favre went through some ups and downs during his career. He had to overcome addiction to alcohol and prescription pills along the way. 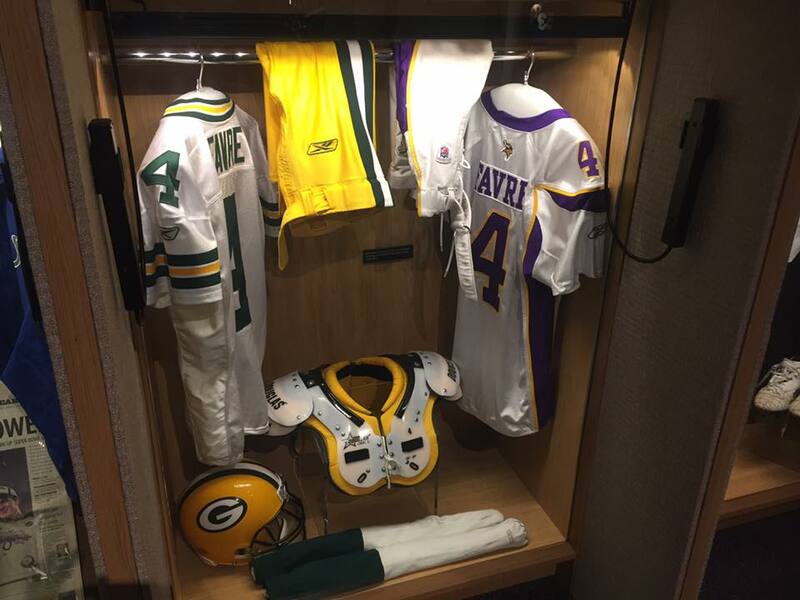 By the time he retired in 2010, Favre was No. 1 in NFL history with 71,838 passing yards and 508 touchdowns, both league records. And to think Favre received only one college scholarship offer (Southern Mississippi). Even the NFL, on draft day in 1991, mispronounced his name (Brett Favor) when he was selected by the Atlanta Falcons. But by the time Favre was done, everyone knew how to say his name. He entertained Packers fans for 16 seasons, won three MVP Awards and was voted to 11 Pro Bowls, but when it came time to walk away, he couldn’t. He announced his retirement, then turned around and unretired. He wanted his job back in Green Bay, but the Packers were ready to move on with Aaron Rodgers. It was a trying time for a fan base that took it out on Rodgers because Favre was their hero. That indecision led to a short stint with the New York Jets and then the Minnesota Vikings and it was hard for Packers fans. But in the end, those fans were able to put the way things ended behind them. Right now, it’s all about celebrating one of the greatest players to ever play the game, both in Green Bay and the entire league. 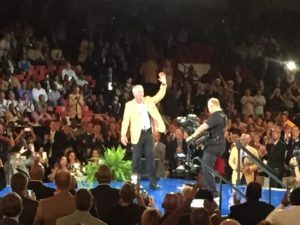 Canton, Ohio will be loaded with Packers fans this weekend, to watch a legend, become the latest member of the Packers’ franchise, be inducted into the Pro Football Hall of Fame. Favre received his gold jacket during a ceremony in Canton, Ohio on Thursday night. 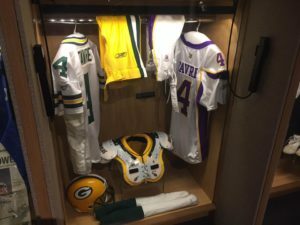 Saturday’s induction is next, as Favre becomes the 24th member of the Packers to enter Pro Football’s Hall of Fame.